Andrew Lownie Literary Agency :: Book :: Where has Mummy Gone? When Cathy, a foster carer with many years experience, is asked to foster Melody, aged eight, she is convinced she’s heard it all before. Melody is the last of five siblings to be taken into care. Her single mother is a long term intravenous drug user and, unable to cope, has neglected all her children. However, when Melody settles in with Cathy enough to talk to her she is constantly worrying about her mother - if she has remembered to eat, wash, or even get out of bed. Many children who come into care worry about their parents but this is unlike anything Cathy has experienced before. Then when her mother suddenly disappears what has really been going on at home becomes all too clear. "I read this book in one sitting ." "A truly brilliant book ." "Having read all of Cathy’s books I found this to be the most emotional of all ." " An excellent and heart-warming read." "A must-read for everyone. Interesting, insightful and so much more ." " This book is a wonderful story of a mom's unconditional love and support for her child. " "Spectacular book, sad, funny and full of hope." "Another fantastic read by Cathy Glass ." Cathy Glass’s Where Has Mummy Gone? remains at Number 5 in the Sunday Times paperback bestsellers this week . Cathy Glass’s Where Has Mummy Gone? is at Number 5 in the paperback bestsellers this week. Congratulations to Cathy Glass whose Where Has Mummy Gone? is at Number 4 in the Sunday Times paperback bestsellers this week - its fifth week in the top four. Cathy Glass’s Where Has Mummy Gone? is no 3 for a fifth week. Congratulations to Cathy Glass whose Where Has Mummy Gone? remains steady at Number 3 in the paperback bestsellers this week. Cathy Glass’s Where Has Mummy Gone? is number 3 for a third week in the Sunday Times paperback bestsellers. Cathy Glass’s Where Has Mummy Gone? is at Number 3 in the Sunday Times paperback bestsellers chart for a second week. 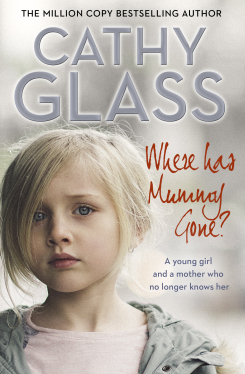 Congratulations to Cathy Glass whose Where Has Mummy Gone? is Number 3 in the Sunday Times paperback Bestsellers this week after just a few days of sales. Collins have bought World rights in Cathy Glass’s latest fostering memoir Where has Mummy Gone?, the story of eight-year old Melody.